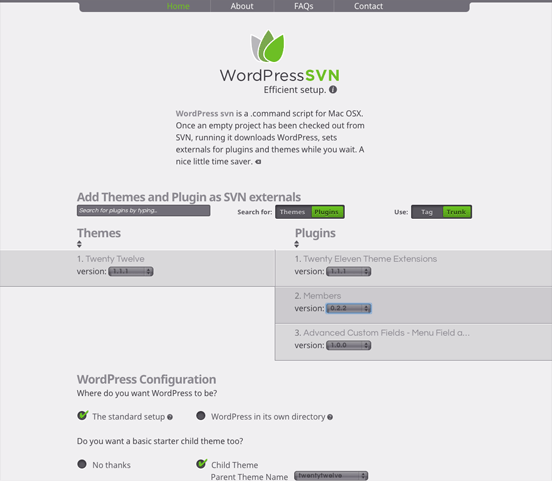 WordPress svn sprout is a .command script for Mac OSX. Once an empty project has been checked out from SVN, running it downloads WordPress, sets externals for plugins and themes while you wait. 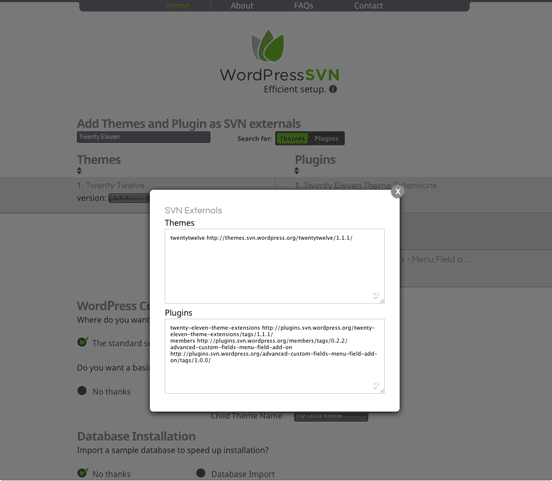 As well as keeping plugins and themes separate from SVN projects the site allows two different WordPress setups and parent/child theme preferences. The site uses jQuery AJAX to inspect the WordPress theme/plugin API and then perform a content scrape of the corresponding SVN repository. The site does allow users to save their configuration with a simple password.